You don’t have to wait for your glass to break before thinking about getting it replaced and replacing the glass doesn’t mean you have to replace the window frame. 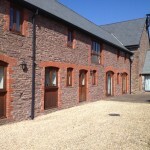 By replacing the existing glass in your property, Commercial or Domestic, which may have been there for many years, Acorn Glass can help you to make your property more energy efficient and help to reduce your heating bills by installing energy efficient glazing systems that can reduce the heat loss through them by up to 75%. 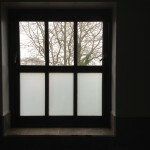 Replacing your glass can improve the security of your property, provide you with an improvement in noise control and provide improvements to internal working or living areas. Acorn Glass have extensive experience in the manufacture and installation of replacement glazing in Commercial and Domestic situations where we have replaced glass to restaurant and shopfronts, fire glass walls and partitions, skylights and roof glazing, balustrades and stairways and curtain walling as well as to conservatories, windows and doors. In house manufacture and production enables us to provide quick turnaround of replacement units that can be of bespoke sizes and shape. 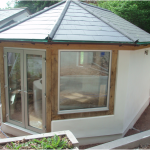 Replacement IGU’s (Insulated Glass Units) are manufactured in our factory and are available as standard or slim framed.